Managing data is a big undertaking, but getting it right can drive supply chain efficiency. 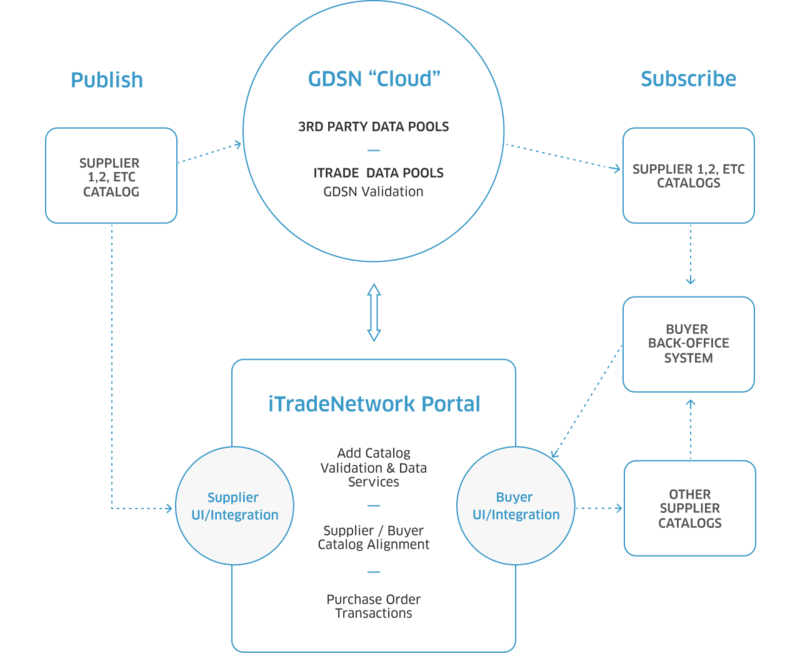 Publish and/or subscribe to synchronize rich product information with trading partners, including logistic, nutritional, allergen, marketing, image and other data. The global food and beverage industry is on an ongoing quest for better data accuracy. Timely, complete and accurate product information is essential for e-commerce today, and also plays an important role in food safety. Grower-shippers, manufacturers, distributors, operators and retailers need a way to meet new requirements from customers, the government and industry expectations for standardized data. At iTradeNetwork, more than 5,000 trading partners trade daily on our platform, and maintain detailed information for over 15 million products, including GTIN, Global Product Classification, nutritional and allergen information, marketing information and pictures. We understand that complexity and provide you with the tools to seamlessly connect with your trading partners and ensure that accurate, complete product information is flowing through the supply chain at all times.